What is the biggest cause of damage to a structure in an arid climate? What is the biggest cause of damage to a structure in an arid climate? It might not be what you think. Even in the desert it is –Water! “But, I live in a desert”, you explain! “We get less than 8 inches of rain every year. There is sun shine here over 300 days of the year”. The photos below is an example of damage caused by something you don’t see much of in the desert. They reveal were water has escaped a damaged gutter and saturated and stained the siding. 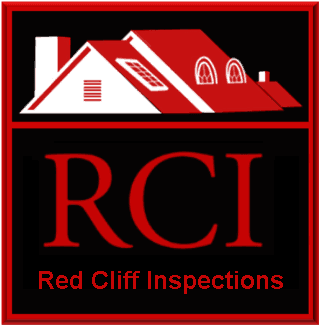 Red Cliff Inspections provides home inspection and commercial inspection services in St George, Washington, Hurricane, Ivins, Santa Clara, Pine Valley, Damron Valley, Enterprise, and throughout the state of Utah! Please give us a call if we can help you with home inspection or commercial inspection services at 435-275-9204.